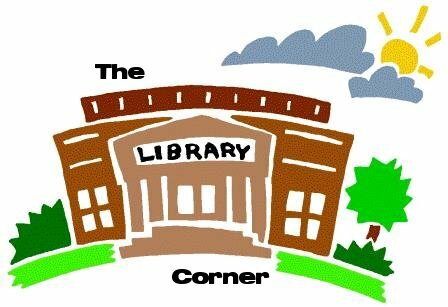 The Library Corner is a new feature that April and I talked about starting to share different favorite books, aspects of my school library and really anything library and/or book related that we decide. So, today I'm going to talk about Graphic Novels. If you're new around here, you probably don't know how much I love graphic novels - for myself, for my students, for anyone really. What you may not know is the crazy wide variety that is out there. When I began my Library Media Specialist job two years ago, the first thing I saw was a lack of graphic novels. I began to remedy that. I've been a big supporter of graphic novels, especially for the struggling reader, since I began the last two years of my undergraduate degree in Elementary Education. Some major things that I look for when I'm purchasing graphic novels is the age-appropriateness for my elementary school. I have not purchased any Manga - the Japanese form of graphic novels that are gaining popularity every day - because they can be randomly inappropriate for my 2nd - 5th graders. So what do I buy? Here are some series that I've bought that do not stay on the shelf - ever. 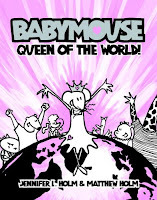 Both my male and female students cannot resist the awesomeness that is Babymouse. I have 2 copies of each of the 13 volumes and I'm lucky if there's more than one the shelf at the same time. This follows a mouse named Babymouse as she daydreams through school. The whole graphic novel is colored in only black, white, and pink. She loves pink cupcakes and her daydreams go from being a rock star to even a race car driver. This series is about a rabbit who lives in a boring town and somehow manages to go on all sorts of crazy adventures - from a Jurassic journey to pirates and even outer space. 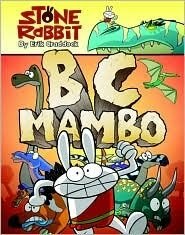 This is a great series for those struggling boy readers who need something fun to read. And there's so many more out there, but those are some of the big hits with my students. I'll probably talk about nonfiction graphic novels some other time - there's so much I could talk about graphic novels! They really are fantastic. 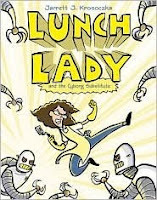 Here's a great article about Graphic Novels for (Really) Young Readers from School Library Journal. They also touch on some of the other graphic novels that I have in my library. I'm not a kid/juvenile person so I cant speak to that aspect, but in general I LOVE graphic novels! The old adage "a picture is worth a 1000 words" really does make sense when you see how much story you get out of a single panel that's beautifully done by an awesome illustrator/artist. I also like that I can use them for reluctant readers,just like I do audiobooks, to draw them in to reading more. Some people are aural, others visual, and some just learn no matter what. For so long comics & graphic novels have been scoffed at but they hold fabulous stories and art! It's so great to read about alternatives to Manga! Like you mentioned, the random inappropriate spots in the manga books really surprised me. Fashion Kitty looks like a lot of fun! I'm all up for graphics novels :) I mainly read manga which I understand why you wouldn't put them in the classroom since most of them are geared towards teens are older but yep Manga is what I mainly read. I do have a few graphic novels on my to-read list like Artemis Fowl and The Amulet of Samarkand by Jonathan Stroud. I loved the novels which I consider MG so they may be suitable for 5th graders :) if you're looking to get more graphic novels. I was never a graphic novel reader until I started working with teens and realized there was no way to stay relevant without reading them. And once I started reading them, I was hooked. I still don't have a mind for Manga, and will never understand fully what Naruto is about, but I really love things like Bone and Amelia Rules. I zipped through both series in a matter of a couple of weeks. I don't think they are the same as traditional novels, but I think reading them is definitely still reading, and definitely still an exercise for the mind. I feel like my brain works differently when I have to read the pictures along with the words, and it's a feeling I like. I was hesitant to pick up a graphic novel, but a few of my grad school classes required them, and now I love them! I read mostly titles aimed for young adults or adults, but I enjoyed reading about the graphic novels for your younger students. I like graphic novels, and am lucky, because it's one of my sections at my library. :) I think it's so cool that you've really developed what you have in your school library. The ones I buy are aimed at older readers (16 +), but I'm familiar with the ones you listed.